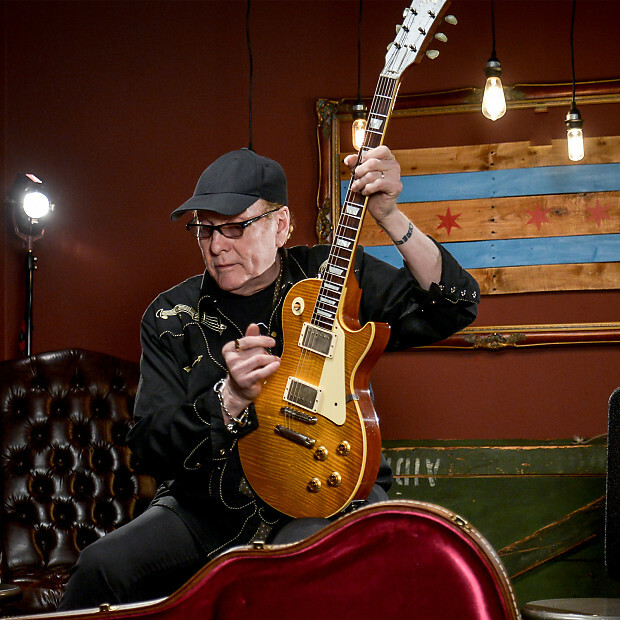 Chicago Music Exchange is proud to bring you a very special collaboration between Rockford's very own Rick Nielsen and The Gibson Custom Shop. We have received five of these masterfully crafted and aged Rick Nielsen Les Pauls. This is truly a one of a kind opportunity to own a special piece of Rock N Roll History! 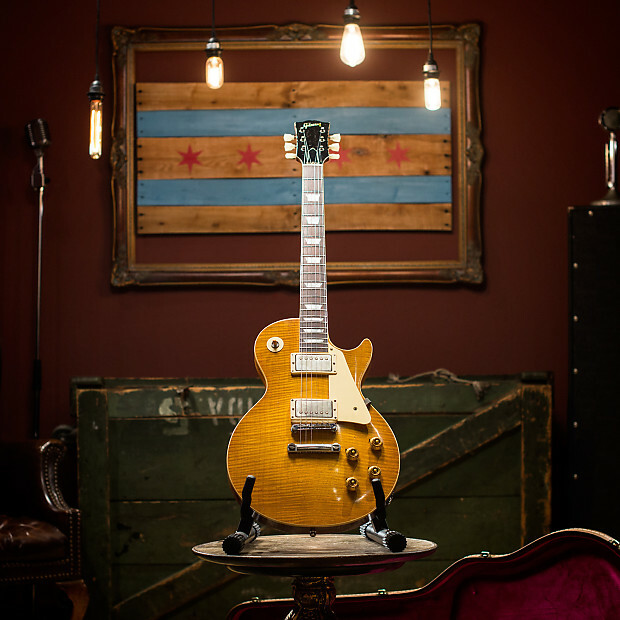 Gibson Custom is excited to release the Rick Nielsen 1959 Les Paul Standard, original serial number 9 0655, a replica based on Rick’s original, serial number 9 0655. Rick and the original have been together for over 25 years, since the charismatic guitarist of mega-band Cheap Trick added the guitar to his vast collection. Unlike most of Rick’s collection however, his original ’59 has become a constant stage and studio companion. Rick even travels with it today, much to the dismay of his touring crew who are quick to point out that the majority of the band’s insurance rider costs on tour are used to cover Rick’s rather valuable original ’59. 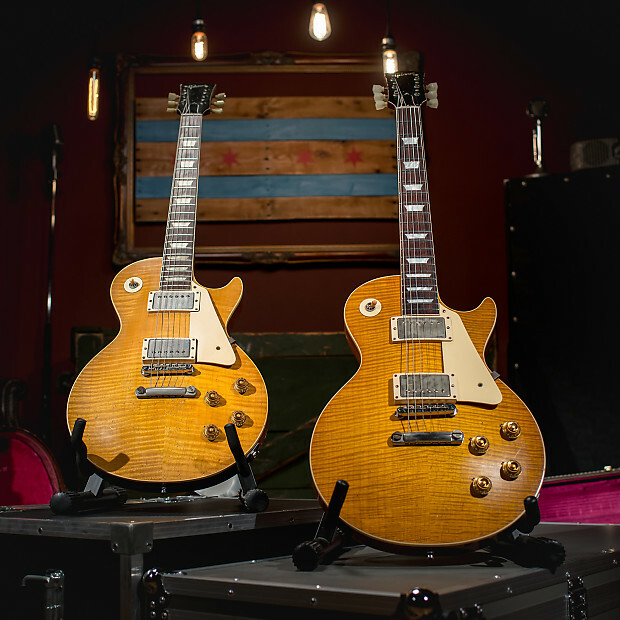 Gibson Custom worked very closely with Rick to create a replica so convincing that he intends to retire the original, having now put the prototype and its standard side-by-side and found it to be worthy to take the original’s place in his tour arsenal. 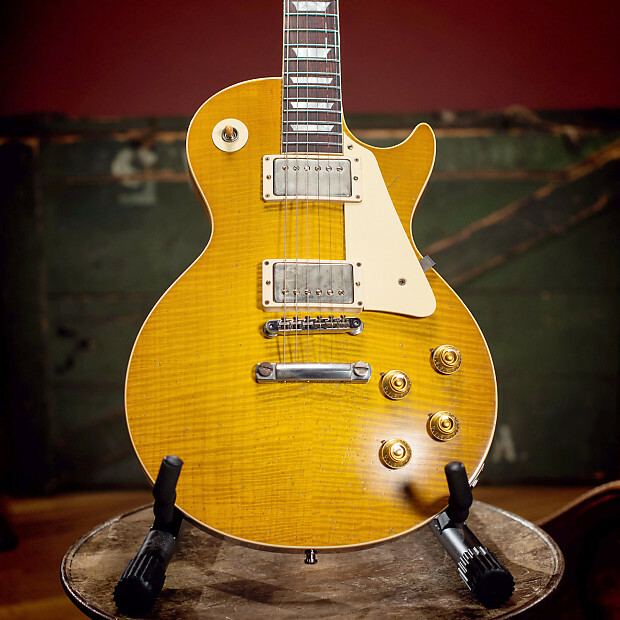 The Rick Nielsen 1959 Les Paul Standard is being offered in a run of 100 Aged LPs. All versions of the guitar are rendered to True Historic specifications and are, of course, hand-crafted based on digital scans of Rick’s original so that the neck shape and dish carve are precisely replicated. 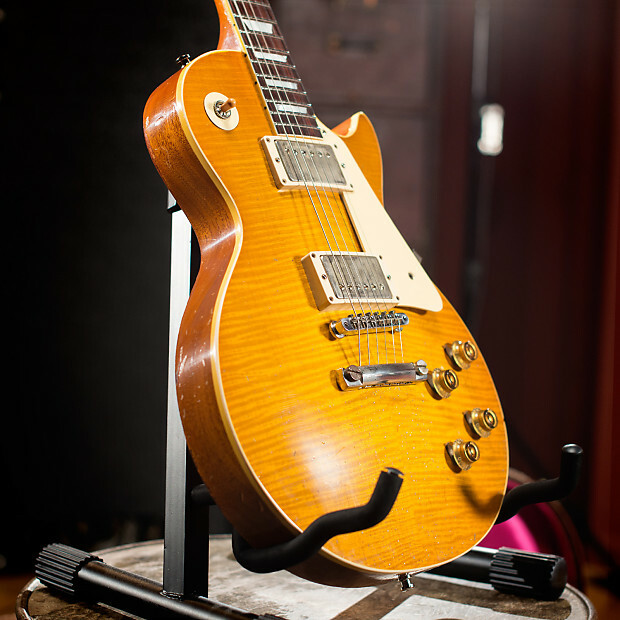 Chicago Music Exchange is an authorized online Gibson dealer. This guitar comes with manufacturer warranty.